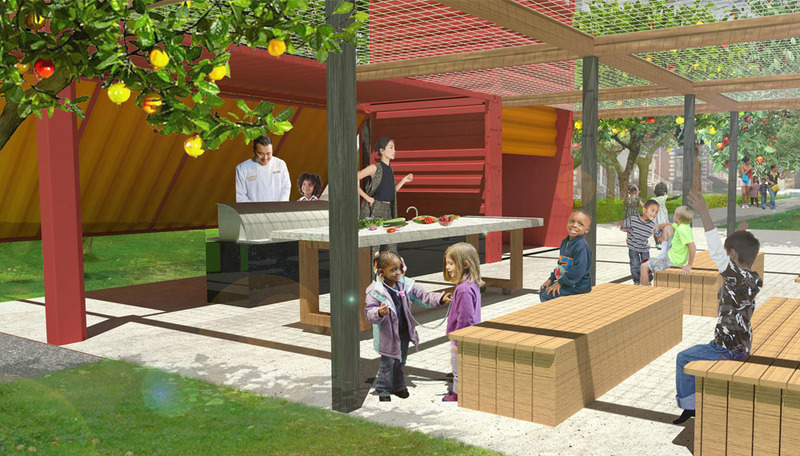 The project involves creating a working urban farm to provide opportunities for students from PS 312 and IS 78 to learn about the origins of food from seed to table. In collaboration with Landscape Architecture firm Grain Collective, NDNY designed the structures in the farm using shipping containers. 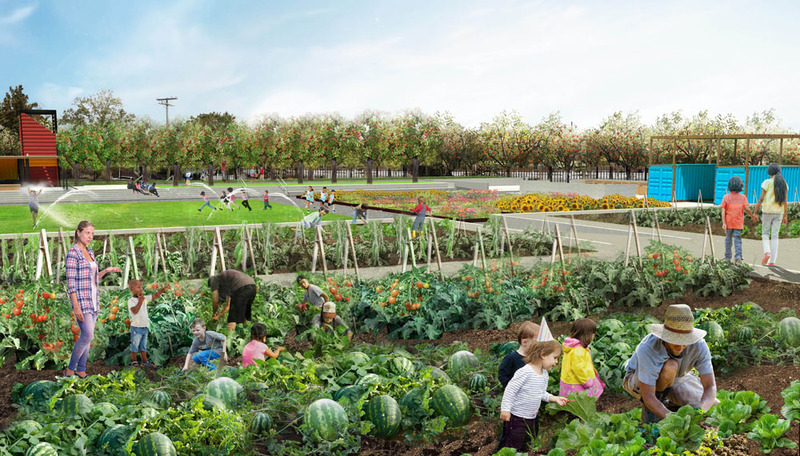 The farm will include a working greenhouse, a working compost area, storage shed, vegetable gardening plots, a fruit orchard, an outdoor classroom with kitchen elements, a pollinator’s flower and herb garden, and a flexible “central green” to accommodate farmers markets, fall festivals, shared meals and other farm and school related events.